Among the many new features included in the upcoming Assassin’s Creed Origins will be a big skill tree which will allow players to learn different skills. With the skill tree being so big, many were wondering if it will be possible to learn all skills in a single playthrough. Thankfully, it seems like it will be possible. 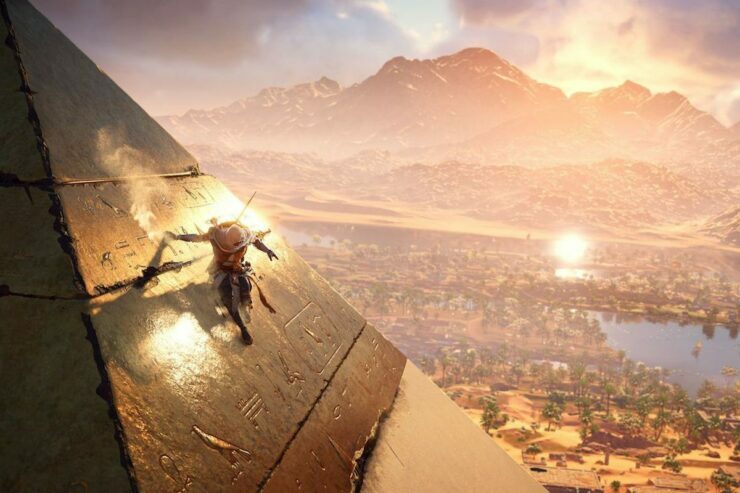 A few hours ago, Assassin’s Creed Origins game director Ashraf Ismail confirmed that it will be possible to max out the game’s skill tree with a lot of work and effort. Like past entries in the series, Assassin’s Creed Origins will likely feature Modern Day sequences. In a fresh interview, Ismail couldn’t talk about them, simply saying that people will be happy in the end, but it seems like these sequences may be playable, as Team Historian Maxime Durand revealed to GameBlog that the meta-story sequences will be playable. With Assassin’s Creed Origins not featuring any rift, there’s a good chance that Durand was referring to the Modern Day Sequences. Assassin’s Creed Origins launches later this year on PC, PlayStation 4 and Xbox One. We will keep you updated on the game as soon as more comes in on it, so stay tuned for all the latest news.